Financial collapse was looming prior to the economic meltdown in 2008 – ineptitude, smugness, and blind arrogance caused it. Those are qualities essential to those in high-ranking financial sectors. Big Short follows the numbers people. They’re still arrogant. Maybe smug too, but angry. Really, really angry. Big Short makes the exploiters of the economic collapse heroes. Some of them try to warn people – they see the breakdown coming. Others are in this for sheer profit through a convoluted monetary gambling game which hinges on people being unable to handle their mortgages. Those who understood were ready to celebrate years in advance. At times, the script breaks the fourth wall. Big Short chastises a society over indulgent in the lives of petty celebrities, then brings in celebrities to explain the intricacies of the financial market. That’s how people listen. 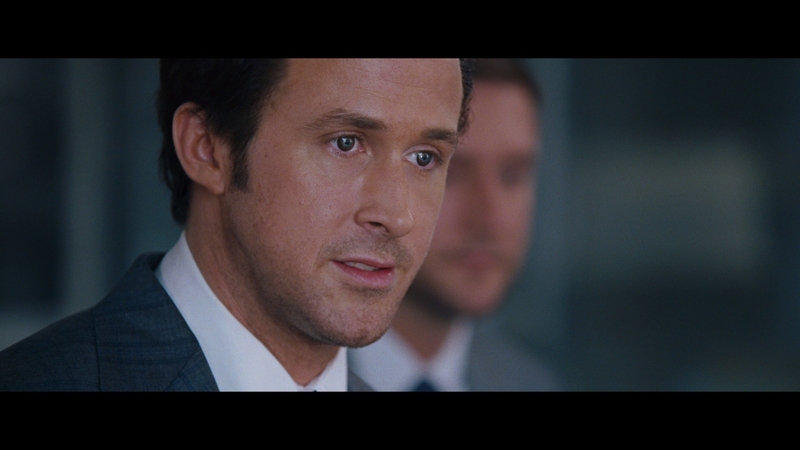 Ryan Gosling’s shady, confident Jared Vennett acts as a narrator. The screen is no barrier. Multiple times, Vennett must be the one to add credibility to the flabbergasting stupidity being put on display by major banking institutions. 2014’s Pain & Gain employed a similar device, and that movie had people frying detached limbs on a grill in broad daylight. Big Short’s level of mind-boggling idiocy is an equal, albeit with money instead instead of chopped fingers. Each key player is distinctive. Big Short acknowledges inaccuracies too. Adam McKay (who jumps to this wild, sometimes obtuse money market movie from the “Boats & Hoes” of Step Brothers) keeps a sense of humor winding through the narrative. 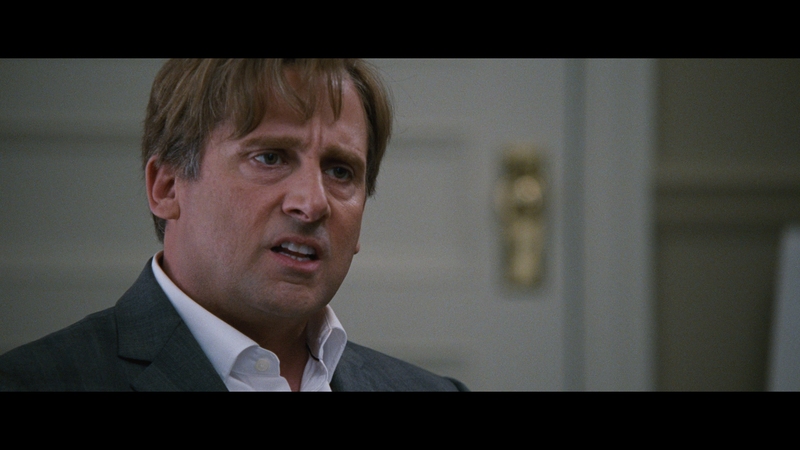 Either it’s the chutzpah of bankers giving out mortgages to immigrants who lack income or Mark Baum’s (Steve Carell) anger management issue. Humor sells the issue. That’s another psychological trick to make people listen – The Daily Show used it for years to create interest within prominent issues. The film uses decoration to work. A game of Jenga sells the nuance of the profitable scheme. Flashbacks to previous faces and bit parts are stylishly done rather than obvious. Clips of popular media – distractions away from economic realities like iPhone launches, reality TV – slowly lose their excess. Those clips become made up of people in tents or out of their cars as news anchors descend into panic. The fun is lost. Big Short’s timeline progression is created through visual markers – a superb use of the medium compared to Lewis’ book. Big Short understands the needs of a wide audience to be both informed and entertained. Shot on film, Paramount’s Blu-ray encode will deal with a persistent and visible grain structure. It’s a touch thicker than most contemporary films while adding a pleasing texture. 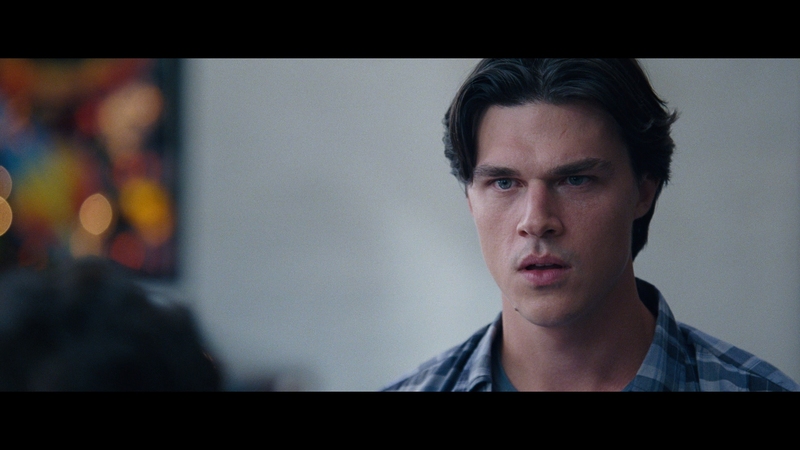 Barry Ackroyd handles cinematography, producing an odd if unique appearance for this film. Hazy focus and shifting style lends each scene something new. 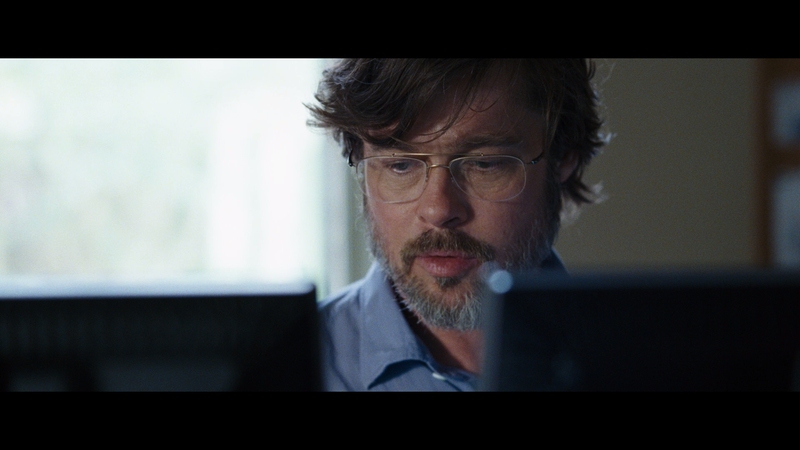 Big Short pushes away from delectable video for something stylish. There’s detail, plenty of it. In close, resolution shows by excelling in fidelity. Facial definition rarely falls off if the focus remains stable. 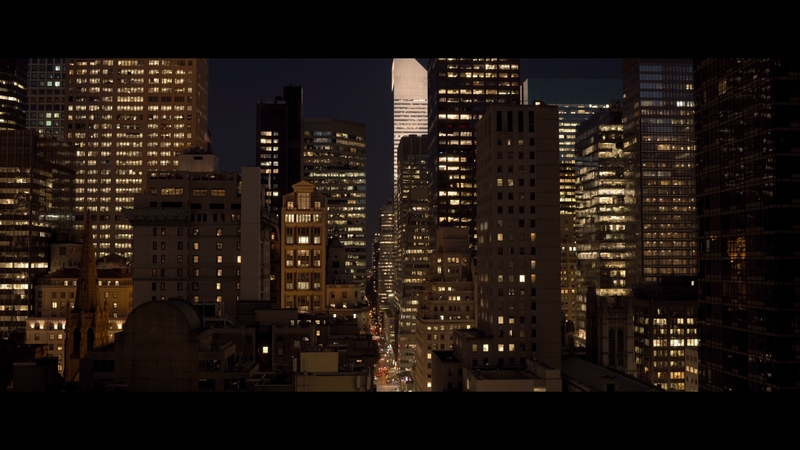 Exteriors of New York dazzle. A time lapse sequence is dazzling in sharpness and clarity. Most of Big Short will be covered in blues. Office walls are blue. Suits are blue. Dress shirts are blue. Even flesh tones drift toward blue. The few natural light exteriors offer a mild reprieve. Some primaries slip out from the environment. Contrast can add a lot though, with nice black levels where needed and hefty top end to add the dimensionality. Note certain transition scenes use various video sources. They appear cleaned up with edge enhancement and various filters. They go by quick. An unexpected user of DTS:X, this is not the action spectacle usually requiring an explosive sound format. And yet, the uses of an expanded soundstage – in the DTS-HD 7.1 track reviewed – are superb. Music takes an arguably forceful push into the rears. Let that go though. Take in New York’s ambiance which so perfectly captures the environments. Large ceiling lobbies, parties, conventions, casinos; nothing is missed. Touches are not subtle – a nearby car horn blares in the left center surround at one point, nearly dialing out dialog as it should. Littered with small moments like a ball bouncing against a wall in the right rear and falling back through the font soundfield or the bullets at a gun range, Big Short has tricks. 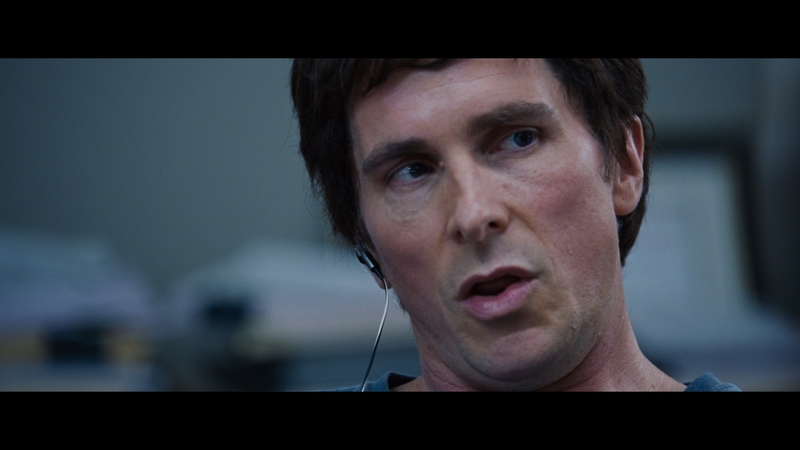 A drum solo by Christian Bale rocks the low-end too. The entire track is as surprising as it is dumbfounding for the level of focus in a dialog-thick film. Bonuses do tend to feel a touch familiar, like In the Tranches (not a typo) and Unlikely Heroes, both of which tackle the characters, performances, and actors. They may be a half-hour combined, yet their content doesn’t justify the pairing. House of Cards is probably the best one here, a 14-minute run through of the terminology used and how this all played out in reality. This is followed with Big Leap (about Adam McKay’s style) and Getting Real with book author Michael Lewis. Five deleted scenes are tough cuts, mostly character moments if no less important.